Okay so here is the latest from WolfChild Designs. Another Pocket On A String (P.O.S.) this time with a punky animal print theme. 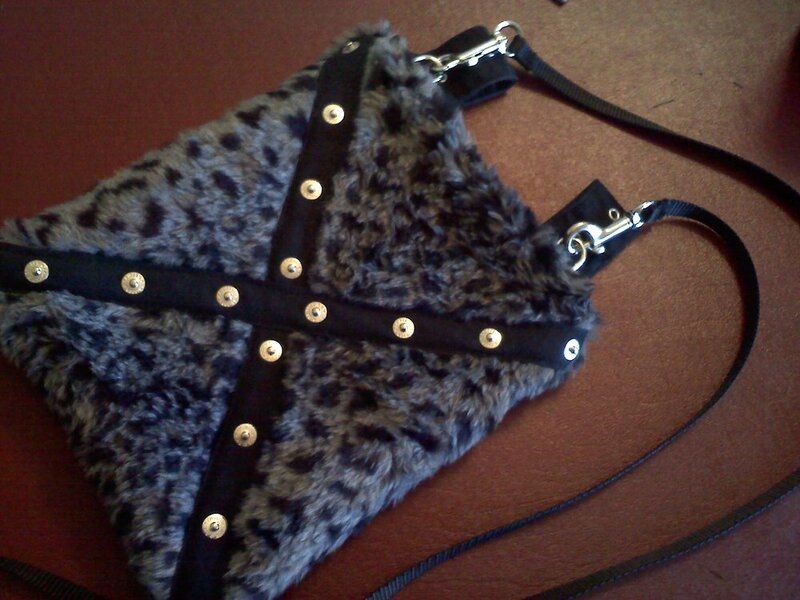 Main fabric is a grey/black leopard print foax fur. The lining is made with a plan black cotton. 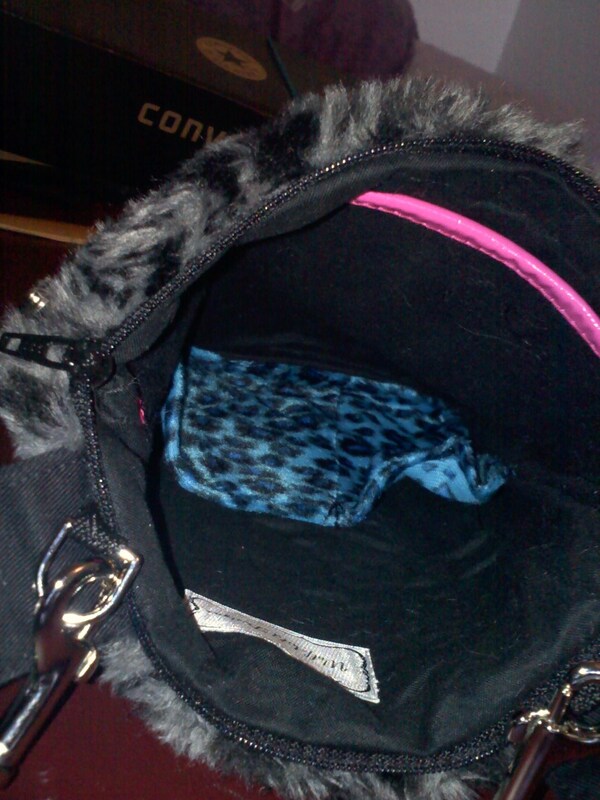 A blue leopard pring foax fur fabric was used for the cell/mp3/kay pockets inside. A large pocket is adjsent with a pink vinyl strip for destinction. A zipper at the top keeps your stuff safe. 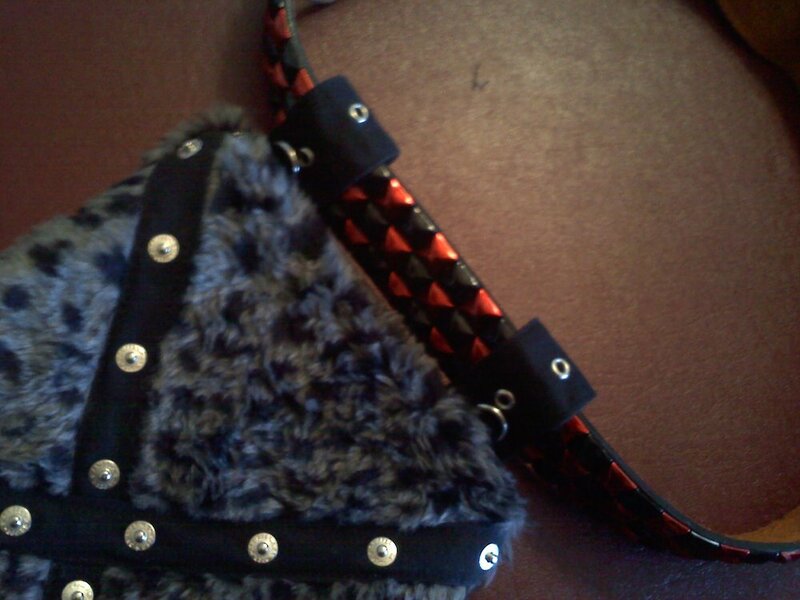 This is the first of my P.O.S.’s to feature a convertable strap design. The strap is connected at two small d-rings with snap hooks at either end of the strap. Dont like accross the shoulder strap? 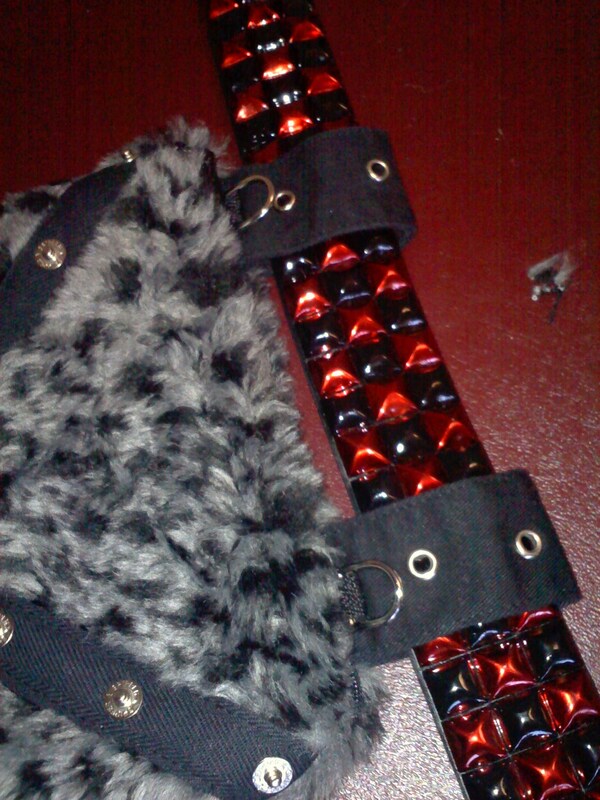 No problem, simply remove the strap and thread your favorite belt though the build in & ever stlyish belt loops.